ELMER EMERSON HUFFMAN was born June 09, 1896 in Grant County, Oklahoma, and died January 06, 1959 in Enid, Garfield County, Oklahoma. 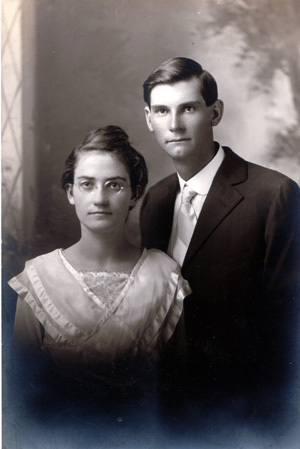 He first married MARY ELIZABETH PRICE on July 17, 1918 in Grant County, Oklahoma. Tragically, Mary died shortly after they were married (part of the flu epidemic of 1918). Mary was born July 20, 1897 , and died November 07, 1918 . 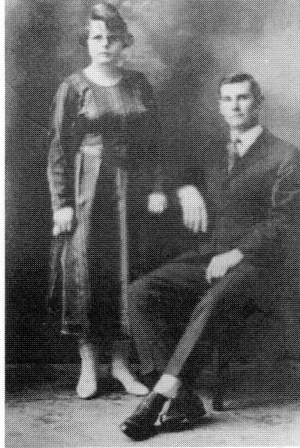 Elmer married SYBLE MAE RANKIN on December 22, 1920. She was born September 02, 1902, and died January 02, 1986 in Enid , Garfield County , Oklahoma. Elmer and Syble had one child, a daughter. Linda was born in 1940 and died in 2002 (Linda's married name was Somers).